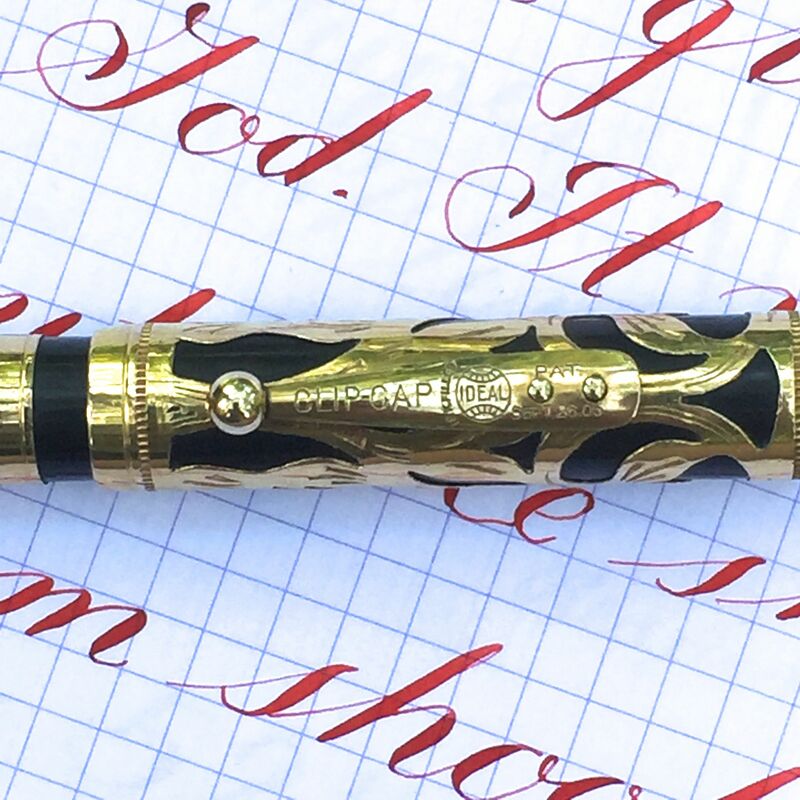 This is s superb example of a Waterman 0552 in gold filled filigree overlay. 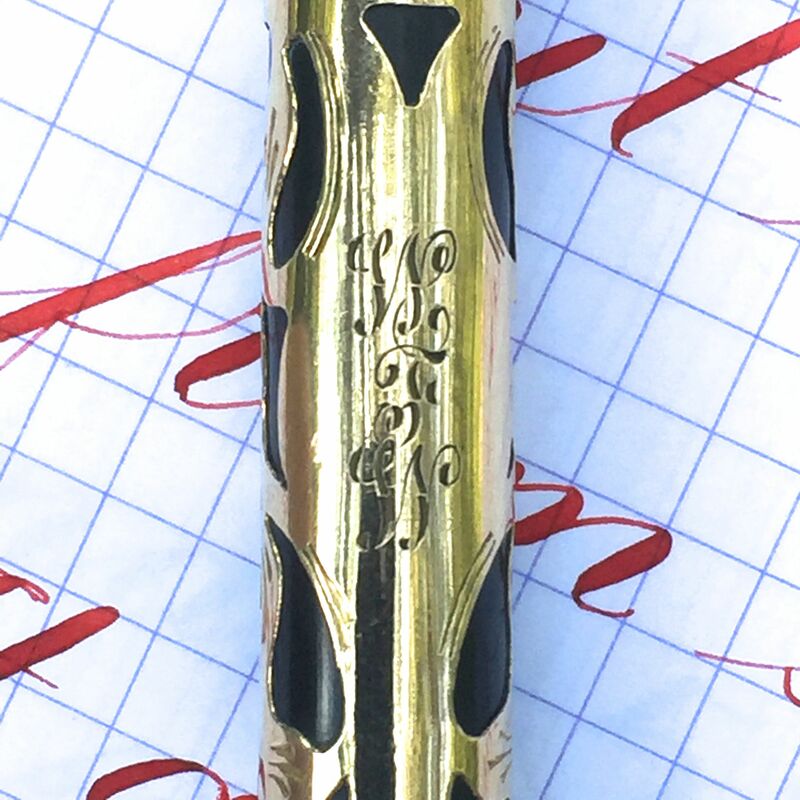 The pen is in near mint condition. The black hard rubber is still shiny black with just the slightest amount of fading on the barrel. The gold filled overlay and trim is all in excellent condition with no brassing. Imprints are still crisp. 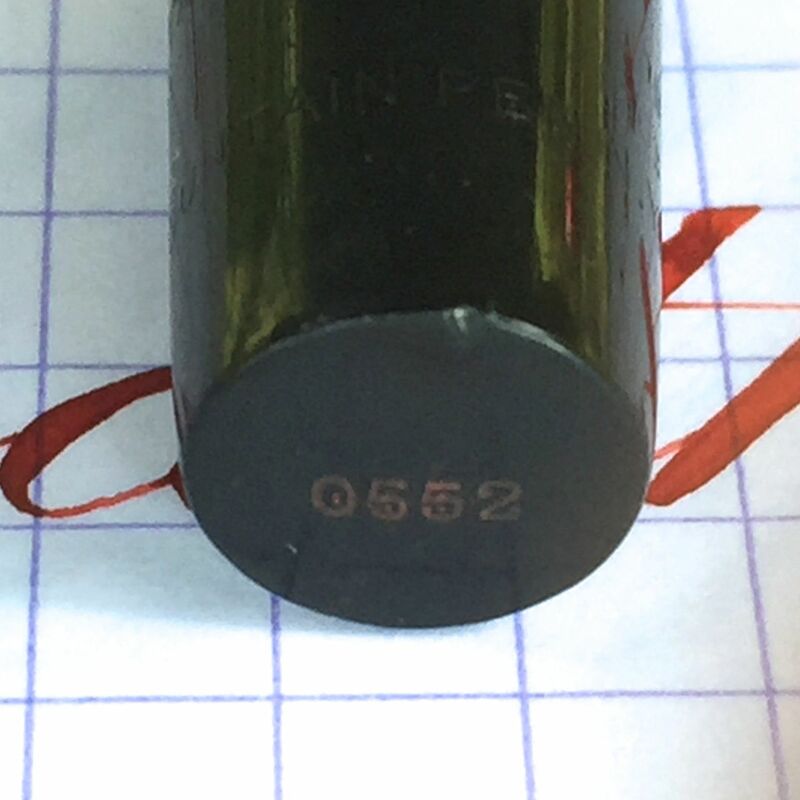 The “0552” at the end of the barrel even has the original red paint in the imprint. The 14kt. 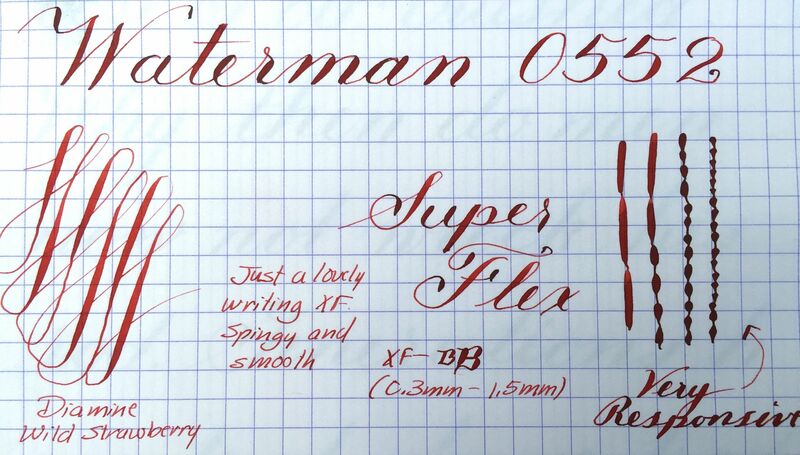 Waterman #2 is just a lovely writing XF (0.3mm). 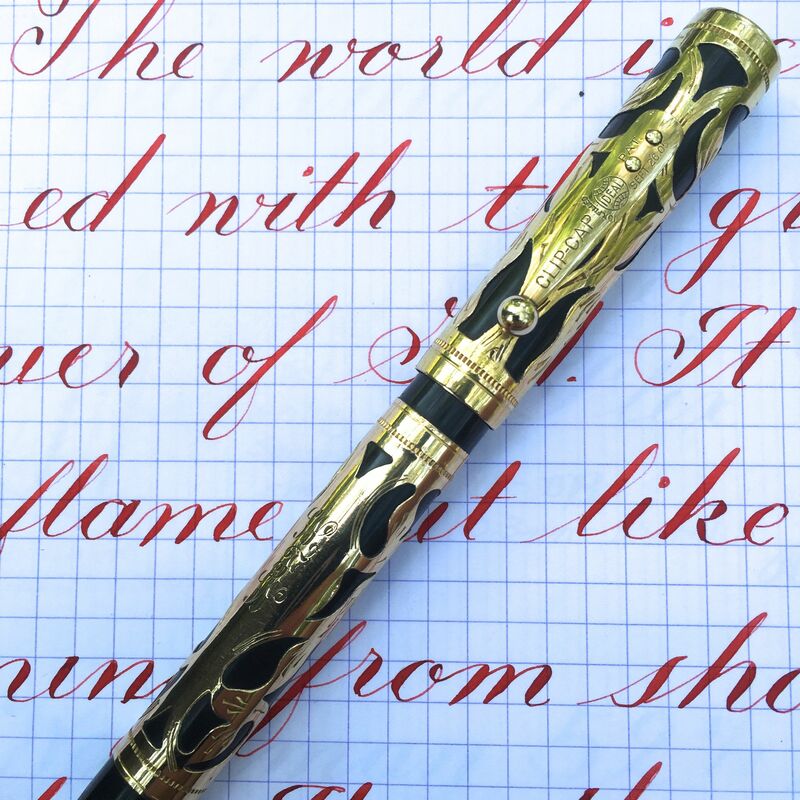 Even lovers of Japanese Fines will enjoy this nib. It is not excessively wet. Just a good steady flow. 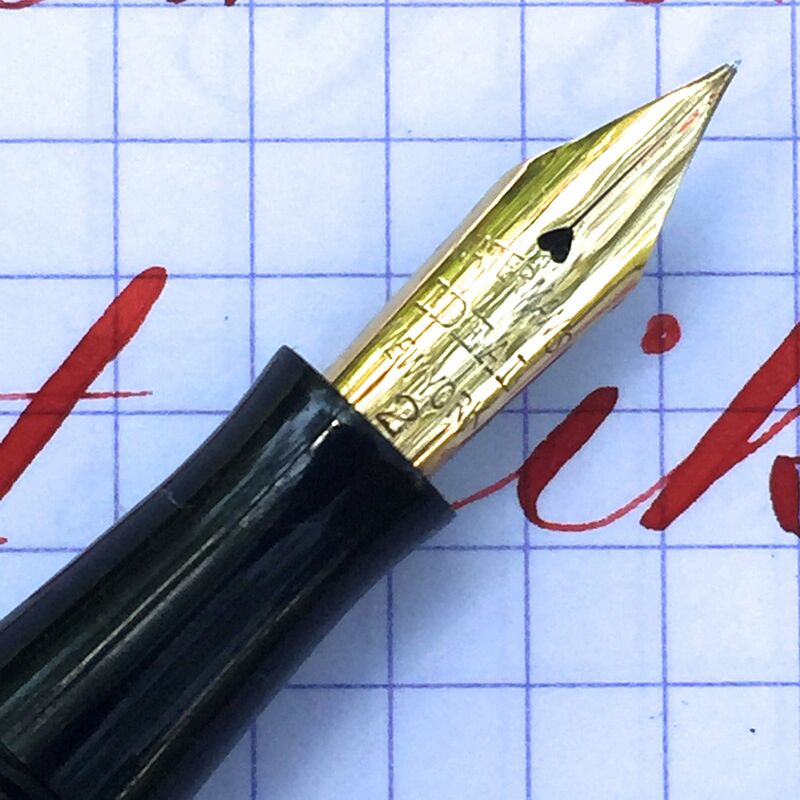 I’ve graded the nib a super flex although it is not as soft as what I would usually call a super flex. Some would even call this a semi-flex. 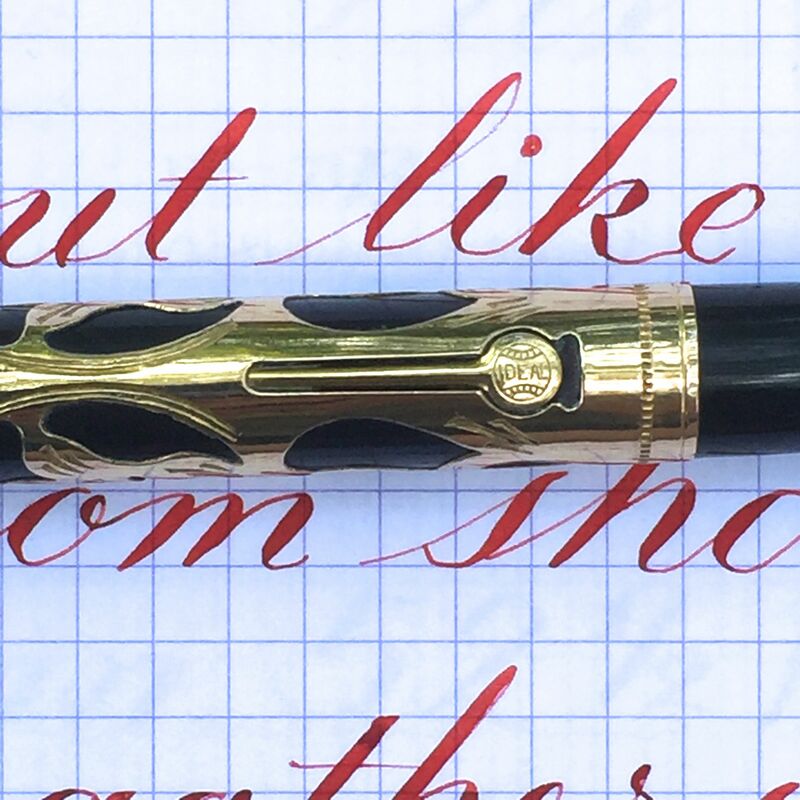 But the responsiveness of this nib is fabulous. The flex action is so crisp that despite being a bit stiffer it is still very easy to control and produces beautiful line variations. I very much enjoyed using it.